Turtlenecks used to have the reputation of being a conservative garment. Nowadays, turtlenecks are considered not only as a foundational piece but also a great piece to add edge and fun to layered looks. Every Fall or Winter, I re-stock with one or two new turtlenecks because the ones from the previous cold season are pretty worn out from so much use. Having a small wardrobe, I have to consider versatile pieces such a turtleneck in order to mix and match with the rest of my clothes. 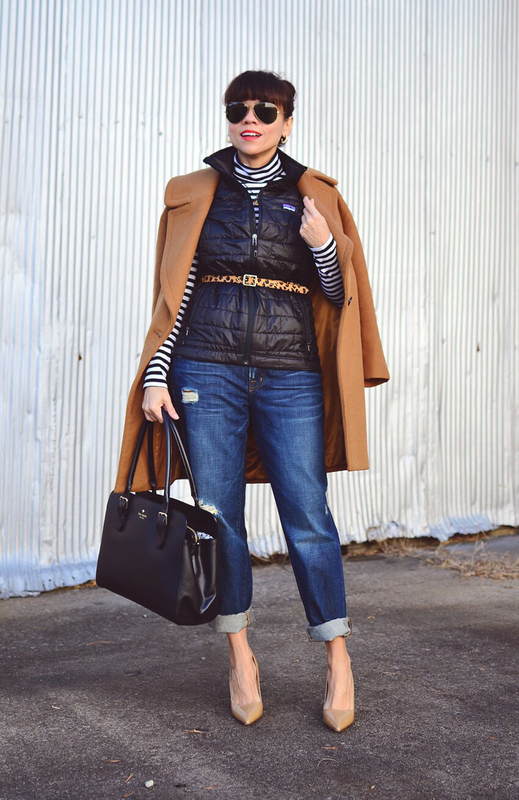 Today, I'm showing you eight outfits with my favorite turtleneck. I find all turtleneck tops to be versatile, but for some reason, the striped ones seem to get more use. I like striped turtlenecks because, besides adding a classy French-esque touch, they are perfect to break up the layers. There are so many ways that you can wear a striped turtleneck. 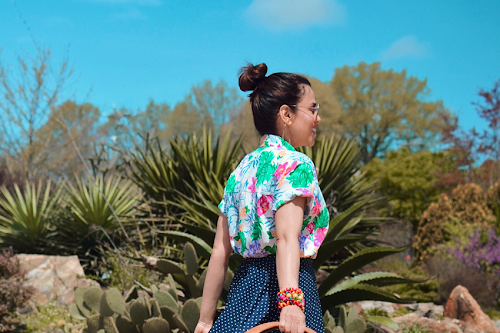 For example, you wear it under a vibrant printed dress like the picture above in order to create an unexpected combination. You also can make the stripes complement a colorful garment, such as a coat or jacket. The striped turtleneck can be worn as the focus point of your look by pairing it with simple and classic pieces. See, in this picture below, how the turtleneck made a classic puffer vest and coat to stand out. Sporty? Of course, you can use your striped turtleneck for a sporty look. 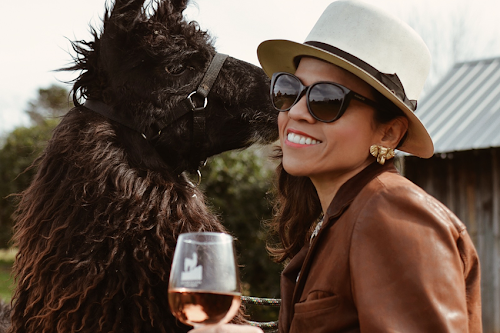 As a matter, of fact in order to keep your neck warm when wearing sporty looks around chilly weather, consider a turtleneck, because it's more practical than a scarf. 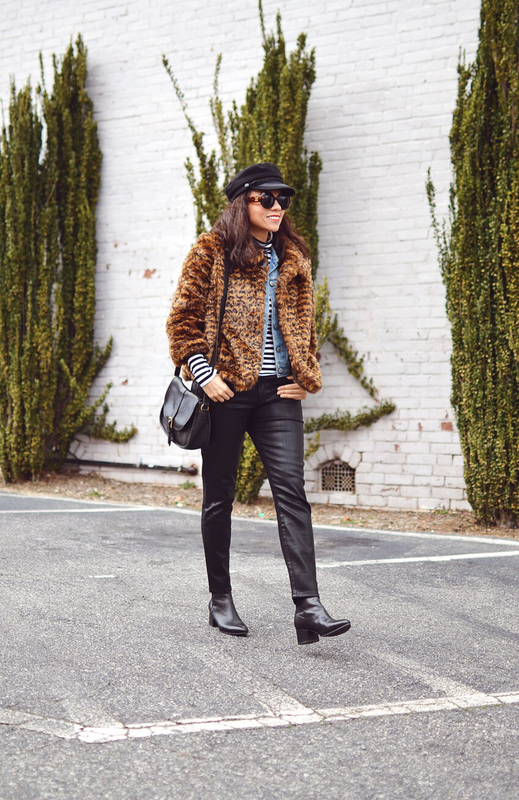 Stripes look terrific paired with leopard! 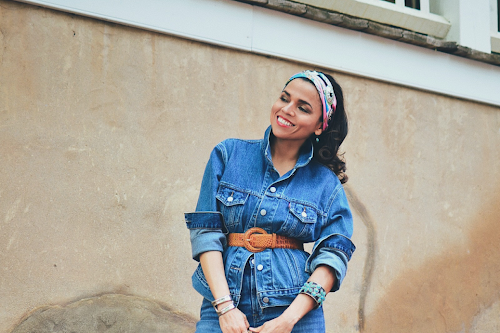 You will be combining two classic prints to create an of-the-moment look. 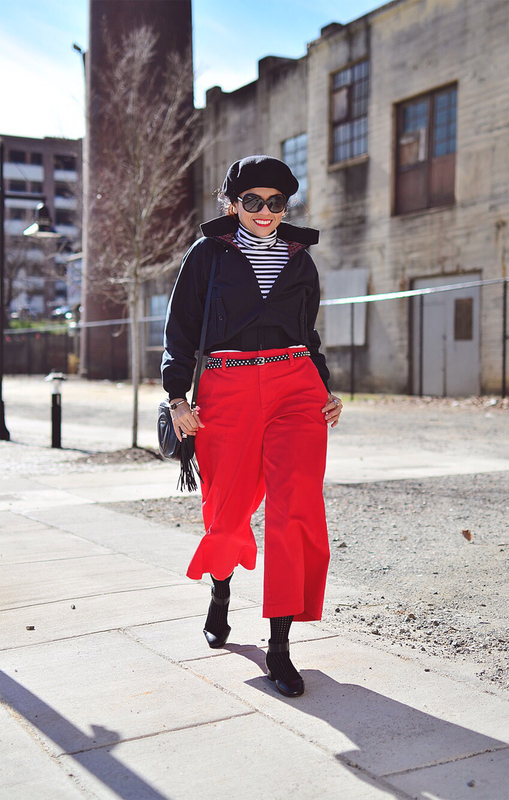 You can also use your striped turtleneck to achieve the obvious, such as a French-esque look or even nautical, like the outfit in the very first picture of this post. 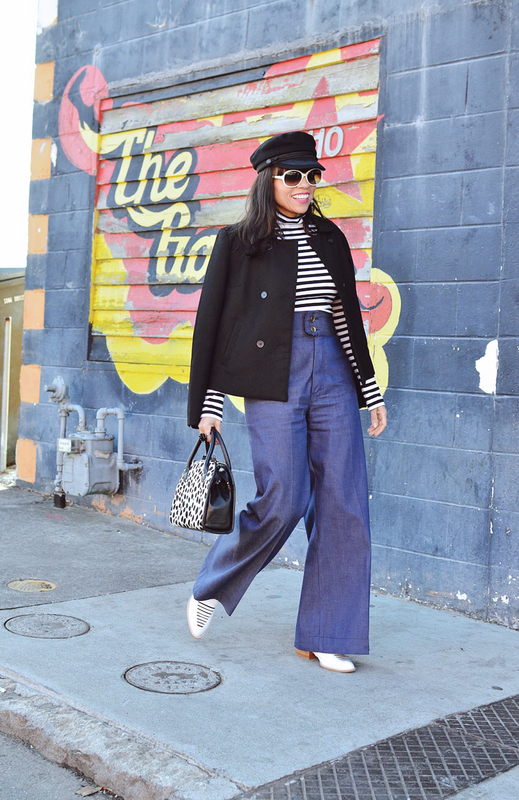 If you are looking to elevate your denim, a striped turtleneck will do the job. 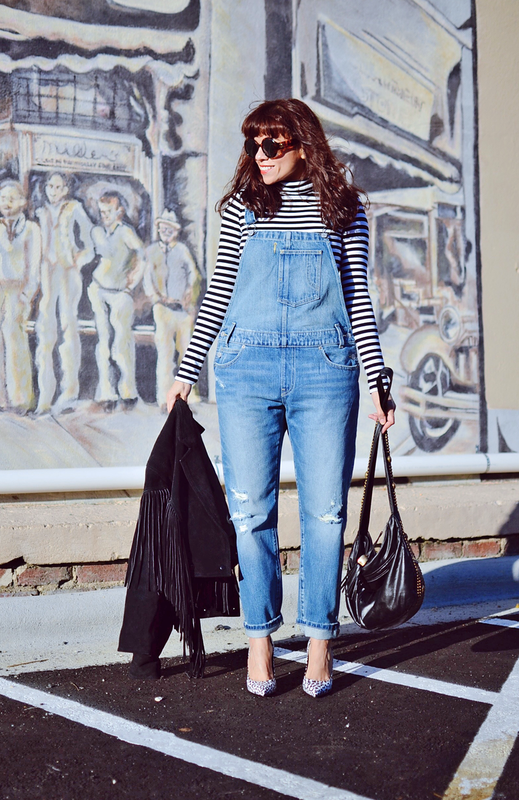 See how these overalls look so stylish when paired with a classic striped turtleneck and heels.